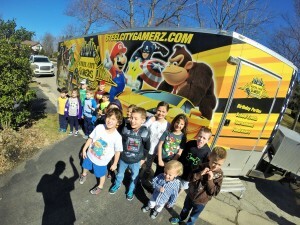 Planning a Super Mario Bros. theme Birthday Party idea for your son or daughter? 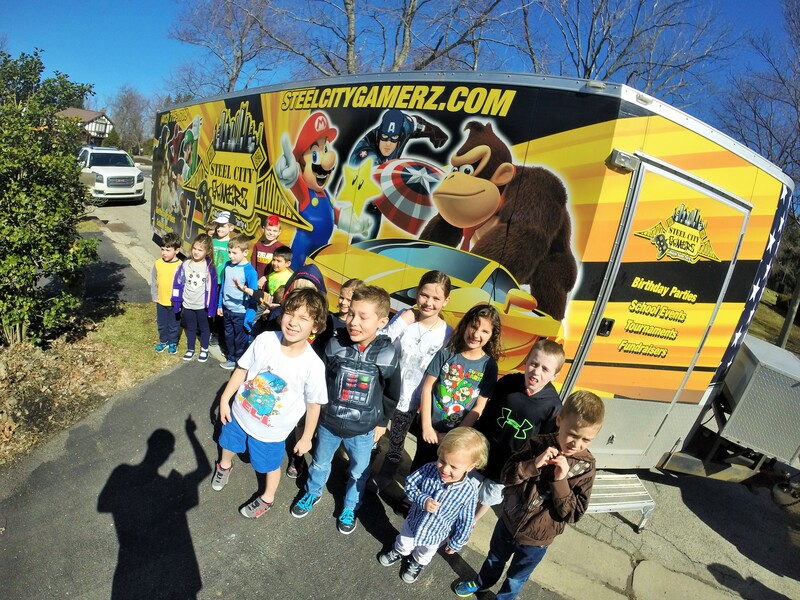 Throw a Video Game Party your child will never forget! Our Mobile Game Truck can accommodate up to 20 players at once! We have over 100 video game titles including Mario Kart 8, Super Smash Bros, Super Mario 3D World, Mario Maker and more! Own a restaurant or Banquet Hall and like to partner with us? CLICK HERE to learn more about hosted parties. “My son hasn’t stopped thanking me for the best party ever. The customer service was top notch! This party is going to be hard to top.” Thanks again Kris L.
“Just have to give a huge shout out and special thanks! Max and his friends had a great time. The short notice and support was fabulous. 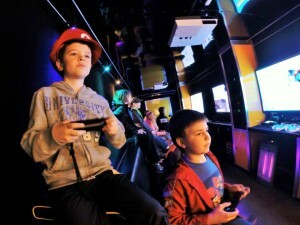 I’d recommend this to anyone with children who enjoy gaming.” Thanks again Jill R.
Here is a link to our Facebook page. We are giving away another FREE 2 hour weekday party ($299 value) once we receive 800 Likes on our Facebook Fan Page. Like us for a chance to win!! Follow us on Twitter for special offers and local events we are participating in! Check out some of our AMAZING photos on Facebook and or Google +.